Welcome to the Joshua Tay Theater! We hope you enjoy the show! 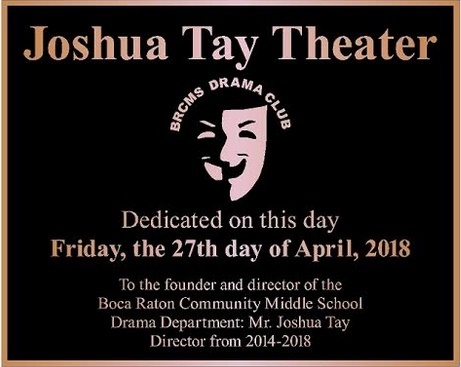 On Friday, April 27th, 2018, the stage at Boca Raton Community Middle School was dedicated in honor of the founder of the Drama Department Mr. Joshua Tay. Tay was director of the drama department from 2013-2018 and left an huge impression not only on the students, but on the school as a whole with young actors and actresses now targeting the school because of its high-level, all inclusive Drama Club and musical productions. Thanks to Mr. Tay, the Boca Middle Drama Club now regularly puts on high-school-quality performances with high entertainment and production value known around Palm Beach County and southern Florida. 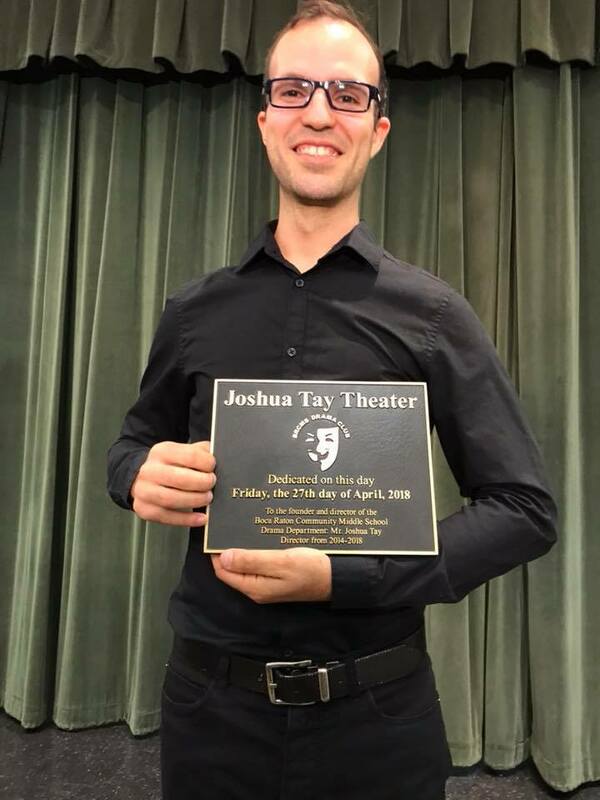 Joshua Tay holds the plaque that is permanently mounted on the stage at Boca Raton Community Middle School that now bears his name.